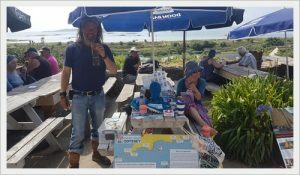 As mentioned elsewhere, the Isles of Scilly hold an enduring fascination for us and one of the highpoints of 2018 was surely that we got to spend a whole fortnight buzzing about them on our Clean Seas Odyssey. Over the years we’ve experienced Scilly in all kinds of weather, with the wind coming from most points of the compass and this, plus help from our friends and our trusty Pilot Book, have given us quite a repertoire of anchorages and havens to hole up in. In no particular order here’s ten of our favourites. Twenty nineteen is going to be a big year for Amelie Rose. 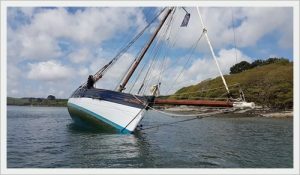 On April 24th it will be exactly 10 years to the day since her keel touched the water for the very first time. Ten years of adventures, ten years of making new friends and meeting them again and again, ten years in which the best part of 20,000 miles have passed under her keel. It’s over 12 years since I first met Luke Powell on the deck of his boat Agnes. Since that fateful day he has built me the Amelie Rose and still we’ve become good friends. 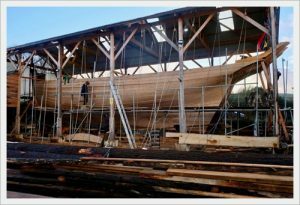 All that time he has harboured an ambition to build a big boat, a boat that would show off the pinnacle of what Pilot Cutters were capable of being. The Pellew is that boat and it turns out that she’s more than just a behemoth. What a year. 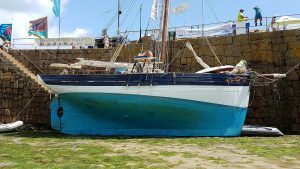 It started with one massively tall order; “to make a difference to the problem of plastic pollution entering our seas”, and nothing but the boat and some vague ideas to work with. So how did it end? Were we successful? Read on to find out more! 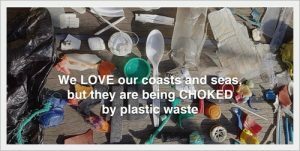 If you are plugged into our Social Media feeds then you will already know that we’ve decided to put the business on hold this year in order to run a project doing something about the plastic pollution that is choking our coasts and seas. To find out why we’re doing this, to discover how you can come sailing with us and what else you can do to help read on.